ALLEGRA BOVERMAN/Staff photo. Gloucester Daily Times. 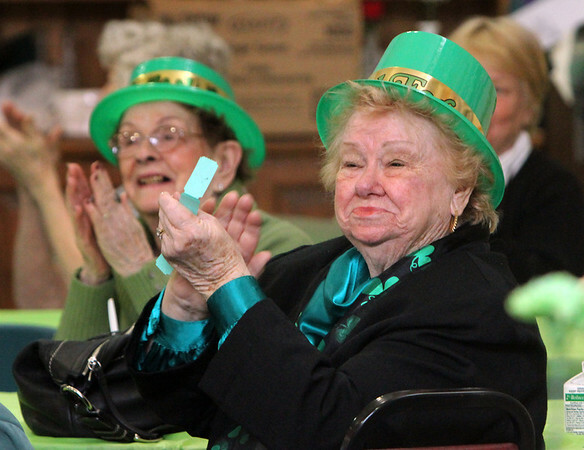 Gloucester: During the St. Patrick's Day Party at Rosie's Cafe in the Rose Baker Senior Center on Thursday. Lee Harty, left, and Susan Galatis, right, both of Gloucester, were enjoying themselves.